A holiday village with 30 chalets, open all year round for families or groups. 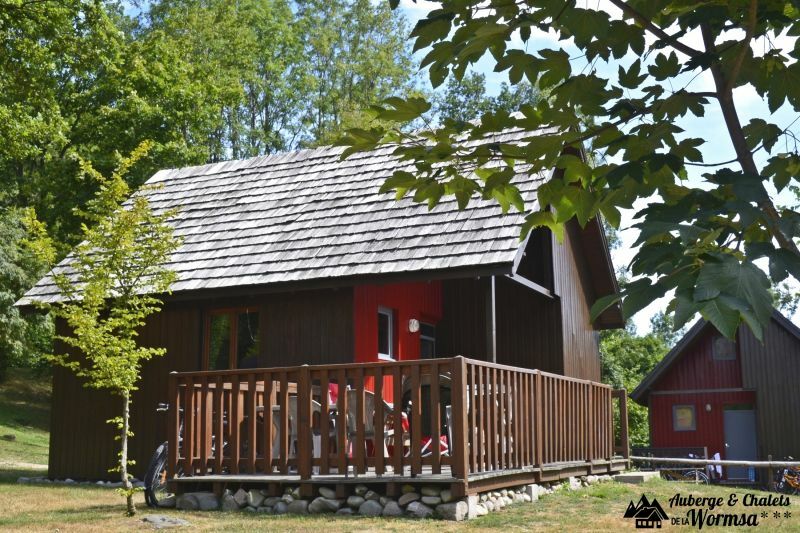 Wooden chalets to rent for holidays or weekend breaks in both summer and winter. Situated between Colmar and Gérardmer in the Munster valley, on the Alsatian side of the Vosges at a height of 500 meters. Follow the wine route, the ridge road, châteaux and walks on the famous GR5 which leads to the lakes or to Hohneck. In winter, make the most of the Vosges’ snowy slopes and enjoy the downhill skiing and cross-country trails. And in December, come and enjoy the Christmas markets. Our chalet is superbly insulated and heated and is available all year round. It may be booked by the week for long-stay holidays or even for weekends or one night only, depending on the season. Our chalet is in the heart of the countryside and blends perfectly into the Schlucht-Hohneck nature reserve. It comes with kitchenette and shower room with wc, shower and washbasin. Our chalet will sleep 2 to 8 people. The interior layout is suitable for couples, families or groups. The legendary Wormsa valley - unique and protected - awaits you. Apartment clean and comply with the contract. - Production capacity limited hot water: The hot water tank can be switched forced. This is explained in the French cottage. We believe that this client could not read the information. - Non-compliance of the listing: we check the announcement no element seems wrong.